Cathy Isom checks out a creative way to transform a raised garden bed into a cold frame. That’s coming up on This Land of Ours. If your garden is composed of raised beds, a little addition can transform them into cold frames. 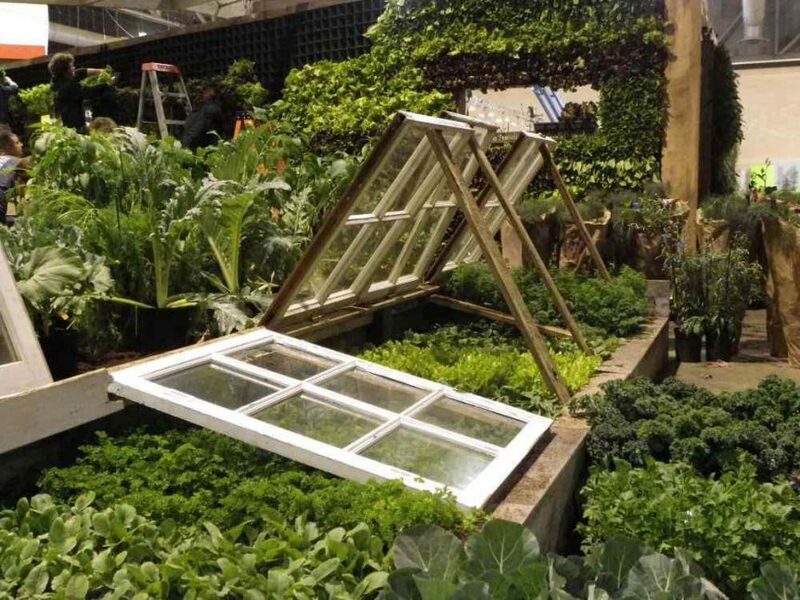 By adding a transparent roof on top of the bed, you could provide extra wind protection for the plants. Also, the roof will trap heat inside, keeping plants and soil warm during the cool days of spring or fall. This solution works best for shorter, cold-hardy plants like spinach, lettuces, or kale. It also works best on raised beds with higher sides. One way of doing this is by adding an old framed window to an existing raised garden bed. You’ll need the windows to be as wide as the frame of the raised bed, or wider. Paint or stain the window frame, and make sure to use a product made for outdoors. You’ll also want to install weather stripping or foam on the window. Use sticks or dowels to keep the roof open on hotter days or to control humidity levels. You can usually find old framed windows at antique shops, garage sales, neighborhood curbside pickups, or construction sites.